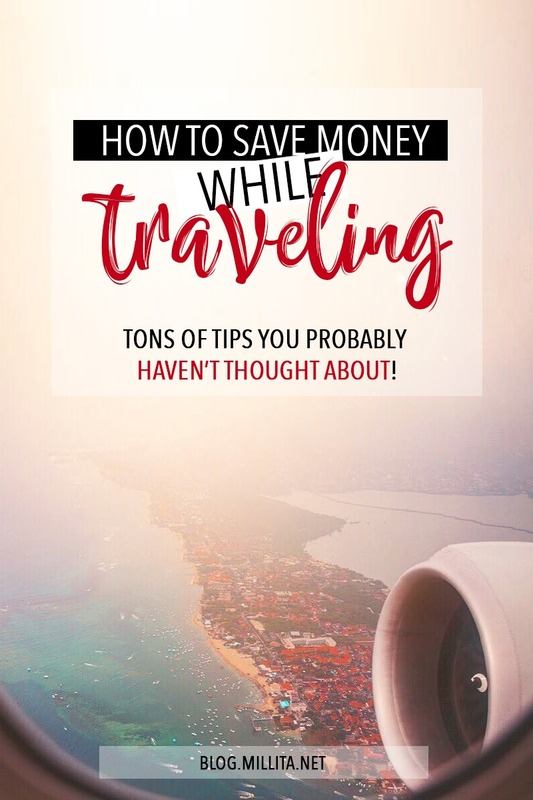 If you have a certain budget for a vacation, several ways to save money while traveling will allow you to feel and visit even more things and places at your future destination. 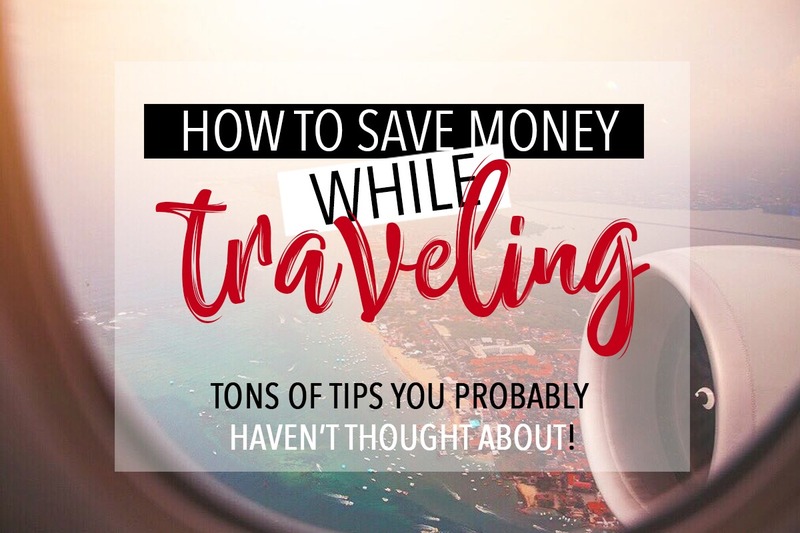 As a person who can make a 3-day trip to Rome for $180, I think it’s time to share with you a few tricks how you can cut down on a trip and have more money for more excursions! And more excursions .. and more excursions ..
1. Do not travel with a travel agency. What I am noticing over and over again every time I travel is that agencies always come out more expensive, always skipping places where you want to go and there is always at least one moment when they don’t stop for a toilet and while you cling to the bustle you miss great views. So if you have the opportunity to take your time and organize your excursion yourself – do it! Plus, it has been proven how planning future travels increases the hormones of happiness in our body and reduces the chances of depressive states. Ok, you decided. You are independent individual who know they can handle everything! You will do it yourself! One of the easiest ways to shorten the cost of an excursion is to make it out of season for that destination. If you want to go to Dubai – go during the summer (I don’t recommend it, but I did it myself anyway) if you want to go to Rome, go in the late autumn (I was there in November and it was DIVINE!). Check out the season of your destination and do not forget another great plus of not seeing the place in its most glamorous look – a lot of people will decline going off season, which means that tourists will be much less and you’ll be able to make your epic photos peopleless way easier! 3. Book flights in advance. Plan your future adventure at least 3-6 months earlier. This way you will have the opportunity to buy cheaper tickets before other people have thought they want to go there as well. 4. Use Skyscanner to find cheap flights. Skyscanner is one of my favorite travel tools for finding cheap flights. You can search for the cheapest flights on certain dates or for the whole month. Don’t have a specific destination? You can use the Skyscanner search “Anywhere” option to find the cheapest flights from your city to anywhere in the world. Once you find them, head to the website of the airline that offers them and make your reservation there. 5. Use low cost companies. When choosing your flight tickets, don’t throw yourself at the most glossy airline company. Low-cost companies may have narrow seats, but if you can go to 3 other places at the cost of an average flight, it’s worth spending 2-3 hours on one seat if the budget really matters to you. 6. Do not buy food at the airport / airplane. They know you will be hungry. And you will get thirsty. That’s why their prices are two and three-fold higher than the normal price outside this facility. Prepare in advance – take your flight snacks before entering the airport. With regard to water – because you can not go through a security check with a bottle of water, it is an option if you are sure that the tap water of a particular location is drinkable, carry an empty bottle to fill after the check. 7. Travel in less popular days. Flights are usually cheaper on Tuesdays and Wednesdays. Avoid traveling on or around big holidays when prices will be the most expensive. Avoid the weekends as well. It’s much cheaper to spend more time in fewer places than to try to visit a bunch of destinations that include changing airplanes, trains and buses all the time. Plus, you will be able to feel the place where you’ve gone way better if you spend more time at one particular spot. 9. Book hotels with free breakfast. One thing I noticed during trips is that many luxury hotels want an extra charge for breakfast, while the more economical rooms offer a free breakfast. Check out before booking a hotel if there is a free breakfast. This can save a lot during your trip! But don’t forget to read the reviews of the chosen hotel – sometimes having a free breakfast can be a 2-blade knife and maybe it’s actually a crap. In this case, it’s good to get a room without breakfast and use point 14 of this guide. Airbnb is a great way to save money while traveling if you don’t want to spend money for expensive hotels, but you don’t want to stay somewhere super cheap as a hostel. In many cities Airbnbs are much cheaper than hotels. You will save even more money if you rent a room in a home rather than a whole apartment and as an extra bonus this is a great way to immerse yourself in the culture of a new destination. If you would like to receive a $40 credit for your first booking of Airbnb – click here . One of the best ways to save travel accommodation is hostels. If the image you have in your head is a crazy hostel and this is not your style don’t worry because in many cities there are also nicer, quieter hostels, even “luxury” hostels. Here you can find a list of luxury hostels in the world. And if you are a sociable person who likes to meet new people, it will be the best choice for you. In such places you can meet some great beings who also want to tour around the world. This is my second search option after AirBnB – Booking.com . There you can set your search criteria, maximum price per night or for the entire stay, arrange them by price or by rating, look at the map and decide which place is perfect for you. Personally, I always look for a place close to a subway station and a supermarket. So we cover even more of the points below. 13. Restrict dining in restaurants. Going to restaurants for every meal can swallow your travel budget very quickly. Plan in advance and limit how often you go to a restaurant during your vacation. Also don’t forget to look for more local restaurants, where the locals eat and where other travelers recommend going. At key locations around the landmark and in the central parts of the destinations it is always more expensive and very often the quality of the food is much lower. 14. Instead, use grocery stores. Stopping at a local grocery store or market on the first day of your trip to get some snacks is a great way to save money. Buying snacks in the grocery store is usually much cheaper than anywhere else and will help you reduce your spendings. Often, this is also my primary criteria when choosing a hotel location, as I mentioned above – to be near a supermarket. Using public transport will save you a lot of money while traveling, especially to and from the airport. Learning the public transport in a new city can be hard but it is worth the huge amount of money you will save! 16. Better yet – walk anywhere on foot. This is the transport that I prefer to every other. Not only you save money but you can also get to know and enjoy the place a lot more than you can while being underground or while you are in a traffic jam. That’s how I managed to do 60km on foot in Rome for three days. Reduce the amount of carbonated beverages you order, they will in any case lead to discomfort you don’t want to cause yourself during your journey. Instead, you can always order tap water in restaurants and just carry a reusable water bottle everywhere. In Rome, for example, there are fountains all over the city where you can drink water without problems. If you are visiting a place where there is no drinkable water, I strongly recommend buying a mineral from the supermarket, and in most cases it’s waay cheaper than a drink in a restaurant. 18. Take advantage of free museum days and discounts. Another way to save from attractions is to visit the museums on their free days. Most museums have at least one day per month when the entrance is free. Also in some cities there are special rates for children or for people under 25 – you can visit the Eiffel Tower at a discount, Versailles Palace for free, the Colosseum with a very large discount. At many destinations, this type of shopping in local stores or markets is quite acceptable and even expected. One of the criteria I have seen is that the shop / market is at open space. You will also recognize them with the really high and foolish prices they offer. 20. Use a bank card with no conversion fee. Personally, I took advantage of the offer of DSK and Wizzair with their credit card, which gives you a free membership in the Wiz Discount Club, also you collect points that you can use for flights and they don’t charge you for converting the currencies. 21. Take a local SIM card. Find out how much charges your mobile operator while you are far from home. Sometimes taking a local card will cost you a lot cheaper than paying $10 for 1mb internet. Use booking.com through this link and you will receive – 10% of the price of your reservation back! If you make multiple reservations, the site itself has a special discount program and you get discounts every time. Sign up for AirBnB with this link and you’ll receive $35+ to use for your first reservation. And if you invite your friends and acquaintances you can gain more discounts to use in the future! And these are the basic principles I am using when I decide I want to save. With their help I definitely manage to reduce my costs. But keep in mind that the trip is a collection not only of sightseeing, but also of experiences, and sometimes trying great local food or enjoying a desert safari is a “cost” that will bring you much more than saving it. 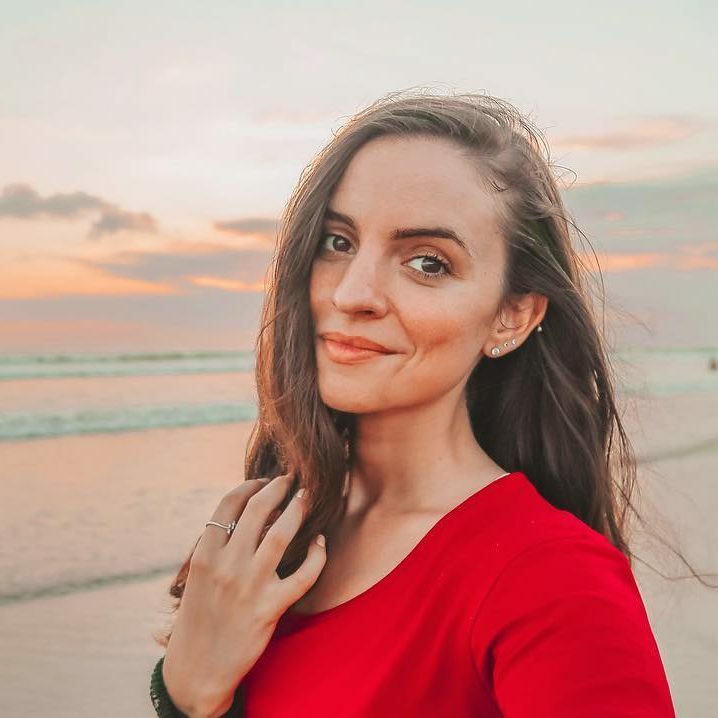 I hope this article has inspired you to travel more and find out that trips can actually be much more affordable than you’ve imagined. If you have questions or your own tricks, please leave them in the comments below! Благодаря ти за уточнението! Аз лично съм засичала такава надценка само в Триваго. И с програмата на Booking – genius, ми излиза всеки път много по-евтино, отколкото ако питам директно хотела или в сравнение с ценоразписа им. НО до момента съм бууквала само едно 8-10 места все пак… съшата стратегия я ползвам при skyscanner и има логика да правят подобни шашми. Та определено ще продължа да проверявам преди букване!